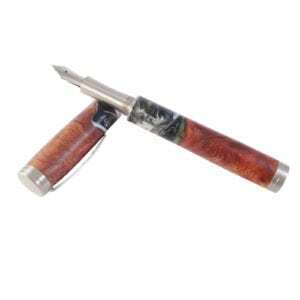 This luxury fountain pen makes a real statement by using a piece of beautiful Thuya Burl. 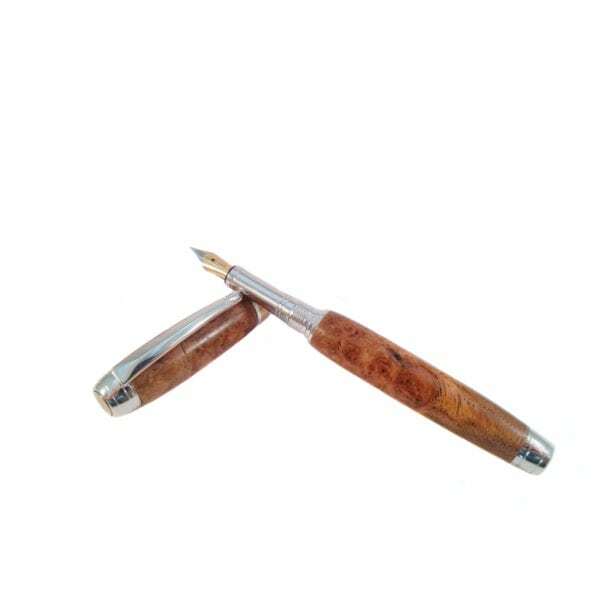 The pen comes enclosed in a beautiful solid wood maple and rosewood case. 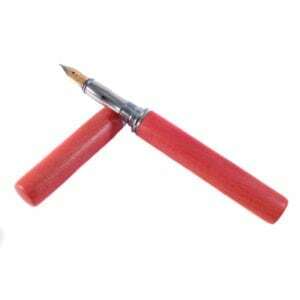 Can also come as a rollerball pen. 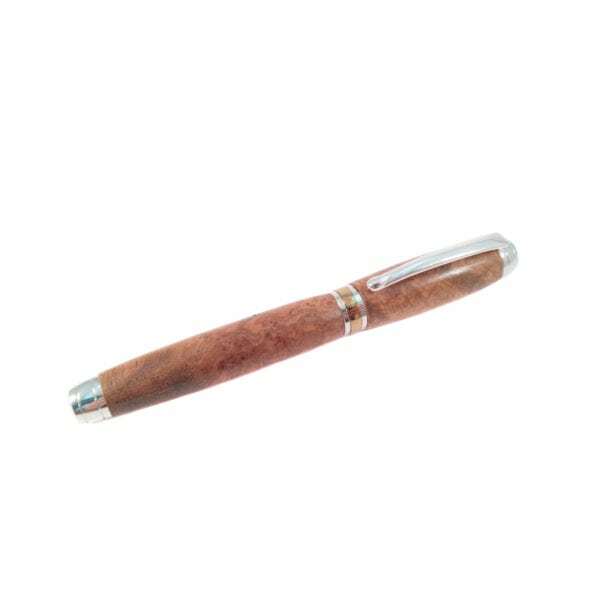 Choose to have a name engraved on the body of the pen for that extra special gift (+€5). 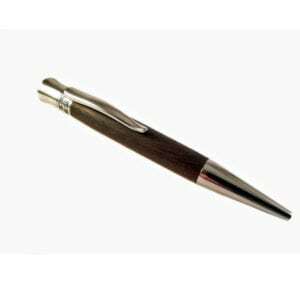 If you have chosen to have your pen engraved, please specify the text here. Max 20 characters. SKU: N/A. 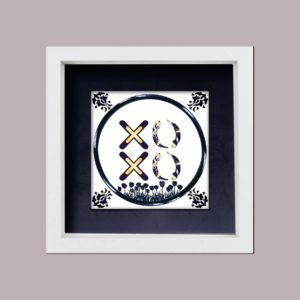 Availability: 1 in stock Size: N/A Categories: Birthday, Her, Him, Milestones, Anniversary, Groomsman, Retirement, Mum, Dad, Grandad, Grandma, Personalised. Tag: Personalised. 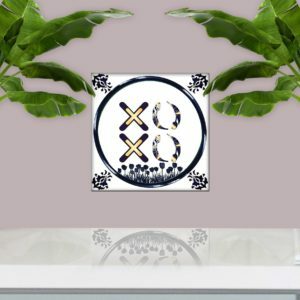 Wonderful gift for men, women, birthdays, anniversaries. 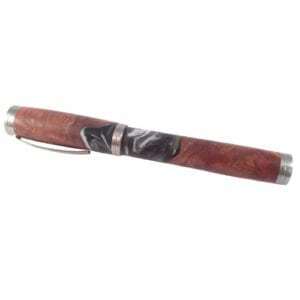 Material: Thuya Burl. Rhodium and titanium gold fittings. Size: 136mm in length capped-125mm uncapped. 14.6mm at cap, 12.1 thickest body. section 8.3mm -7.9mm tapered. Approx- 20g writing, 40g in weight capped. with an international converter so you can use your own bottled inks. 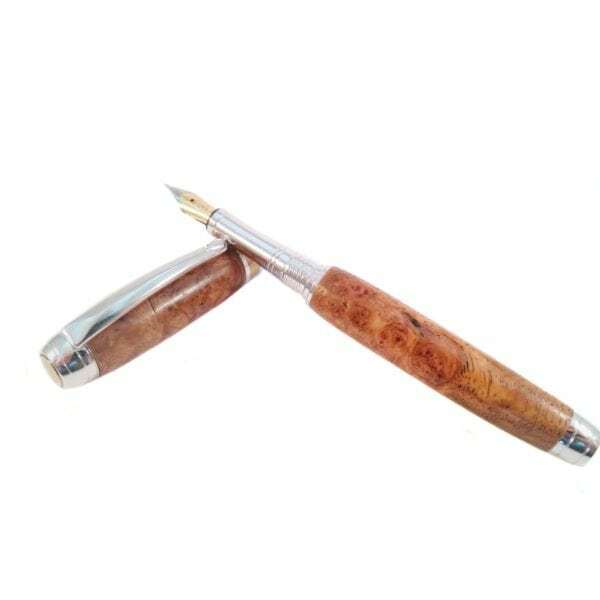 This Thuya Burl fountain pen would make a great gift for someone with ties to Ireland. 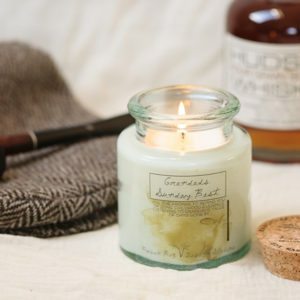 Fine gifts for men and women are hard to find which is exactly the niche this falls into. 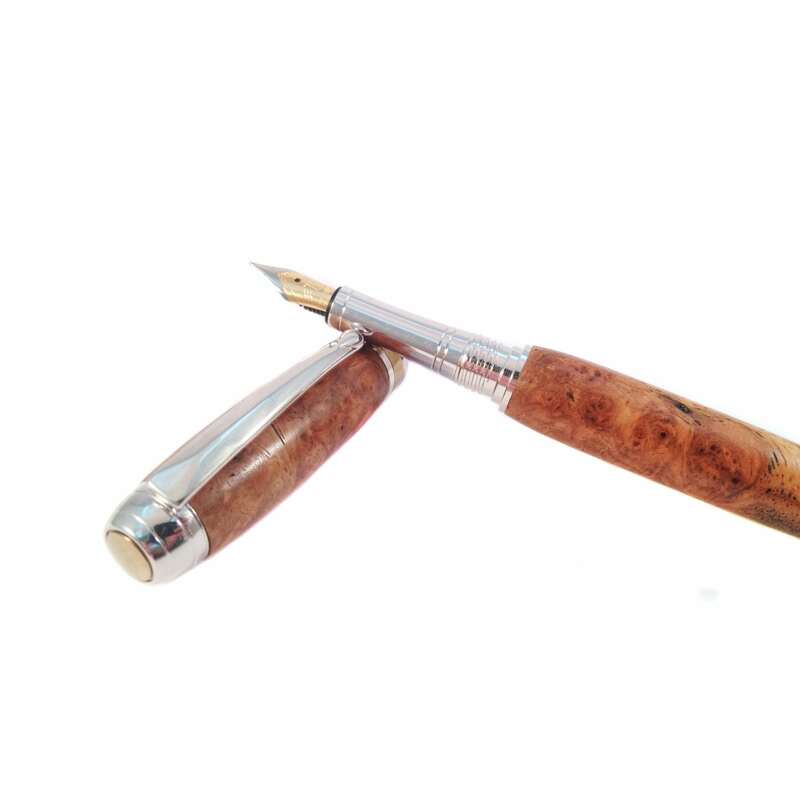 This luxury fountain pen makes a statement by using a highly detailed piece of exotic wood. 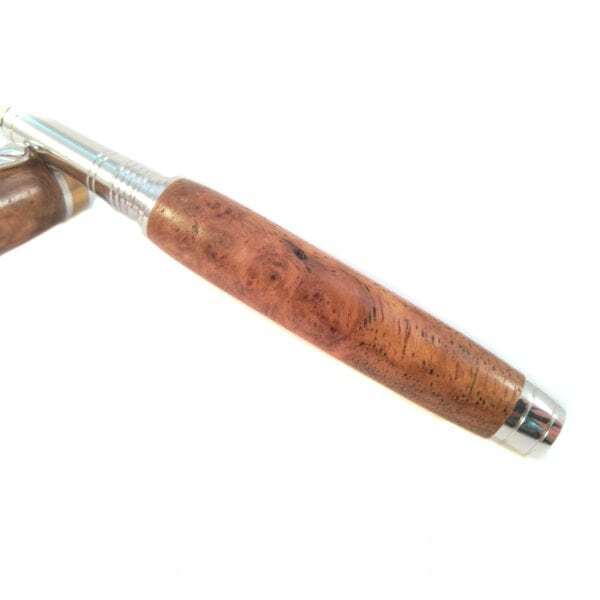 No detail has been forgotten with this pen, as I have custom made to be unique. The finial and band on the cap between the rhodium rings have been made out of bog oak instead of using metal as standard. 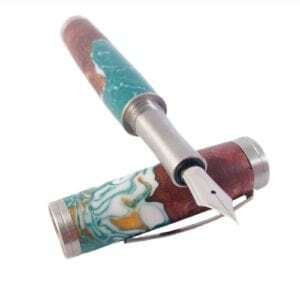 This fine detail craftsmanship makes this pen stand out. 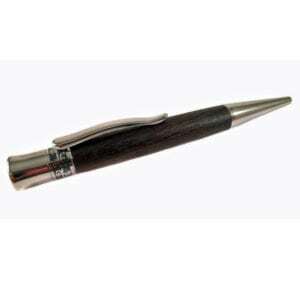 You will love the feel of this pen in your hand and will be the envy of many an admirer. ‘Life is too short to use an ugly pen’. You can have a name engraved on the body of the pen. 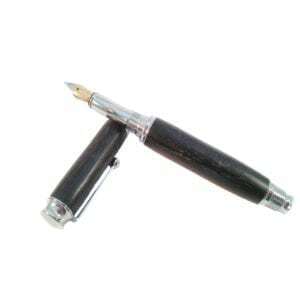 You can choose between the fountain pen or a rollerball version. 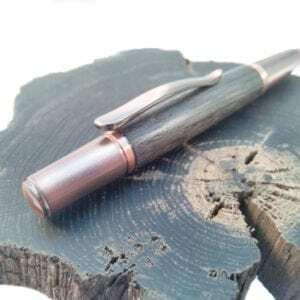 The pen also comes enclosed in a beautiful solid wood maple and rosewood case providing the maximum presentation and also safely storing your fine writing instrument. 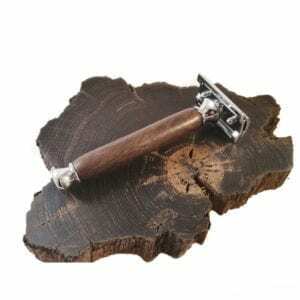 Thuya Burl is an exotic wood that the Greeks named thuya, meaning sacrifice because they used an oil distilled from it as incense in their religious ceremonies. Some churches still use it and as sandarac oil, it is valued for medicinal uses. The burls are as beautiful as they are fragrant and the Greeks and Romans vied with each other over furniture made from them. 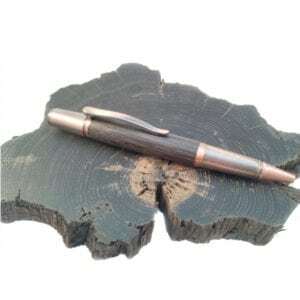 I appreciate you taking the time to look at my handmade pen, and I am grateful for every customer I receive. 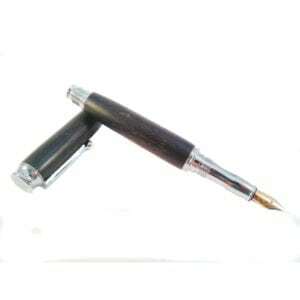 I hope you fall in love with your one of a kind pen whether it is for you or as a gift. 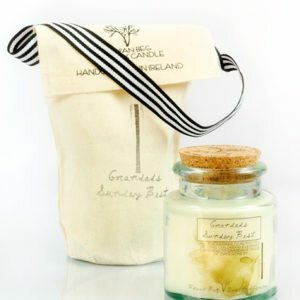 All orders outside of Ireland and the UK will be posted as registered postage with tracking info supplied as standard. Thank you. 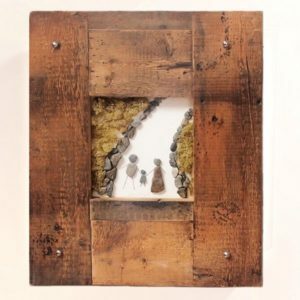 I always had the idea of working with wood when I was growing up, but it wasn’t until a few years ago that I started with some driftwood from my local shore in Moville. 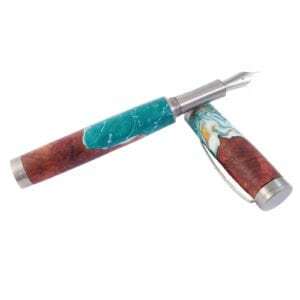 This lead to woodturning and has grown into more than a hobby. 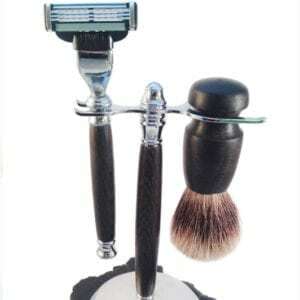 I love crafting everything from pens and pencils to shaving sets, cufflinks, earrings and many more products. 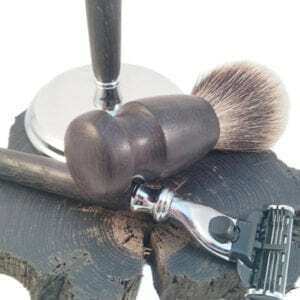 I work with native as well as exotic woods from around the world, but my favourite and the one I work with most is Irish Bog Oak. 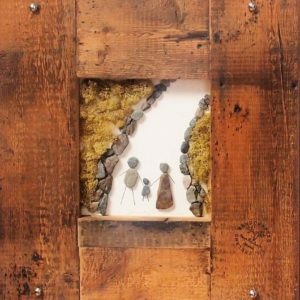 You will be notified as soon as your order has been dispatched by stiofanpadraigcrafts , typically within 1-2 working days.Estimated Delivery from date of dispatch: Within Ireland: 1-4 days. Internationally: 5-12 days.